Surprise your child at ther next party. Rent our Elmo Costume, pictures will be fun! Suprise your child at ther next party! Rent both Mickey and Minnie and get $10 OFF, pictures will be fun! Surprise your child at ther next party! Rent both Mickey and Minnie and get $10 OFF! 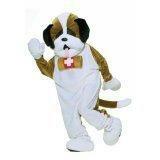 Rent our Party Animal Dog costume, Great for Kids Parties, the Photos will be fun!